Welcome back Readers! Boy do I have some treats for you in the month of August! August is FULL of great reading and writing events for you and your family to sink your teeth into. I’d love to share them with you. First thing’s first. 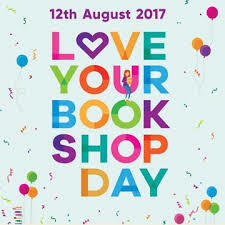 National Love Your Bookshop Day on Saturday August 12th! Yay! I love my bookshop and everyone else’s bookshop too! Ha! If you haven’t heard of this before then don’t fret. It used be known as National Bookshop Day and was re branded to the name you see now. I like this one better! This special day is a celebration of the magic of bookshops! Why do you love your bookshop? The books, the staff or the “vibe?” Whatever it is, it doesn’t matter! Check with your local bookshop and see if they are planning any fun events. You may be lucky enough to meet an author, enjoy an extra story time, witness a book launch or even take part in a writing competition. Plus you can snag a cheeky cake or biscuit! Yum! And balloons! Kids love balloons!! While you are out celebrating, make sure you take lots of great photos! Get your Insta and Twitter on, and hashtag #loveyourbookshopday. Also, get amongst the discussion and tell us why you love your bookshop with the hashtag #whyIlovemybookshop. Want some more information? Just click on the link above or contact your favourite, local bookshop! It’s that time of year again… CBCA Children’s Book Week! Yay! All across Australia, those lovers of all things kidlit related come together to celebrate CBCA Children’s Book Week. During this time you may see special events at your local schools, libraries and bookstores. Typically, throughout CBCA Book Week history, there are book character parades and creative book displays at your local library, bookstore or school. I definitely remember dressing up as my favourite book character when I was a kid. (Any excuse to put on a blonde wig and be Goldilocks. Unfortunately, it turns out that blonde isn’t my thing. Ergh!). This celebration is also the same time we get to find out who is the CBCA Book of the Year winner! Its usually announced on the third Friday in August, and CBCA Children’s Book Week commences the following day. Check with your local school, library or book store to see whats happening. Your little readers might get to meet their favourite author or illustrator! There might be character dress up competitions, and all round kid lit fun! For more information on this special event please visit https://cbca.org.au/cbca-childrens-book-week for more details. Attention Readers!! Here’s where the magic happens! A festival dedicated to the talent of authors, illustrators, readers and all the movers and shakers that dedicate their life to the beauty of the written word! I am SO excited for this one! The Melbourne Writers Festival is a perfect time to learn more about a range of topics. Whether your interest is sport, religion, fiction or kid lit, there is definitely something for you to enjoy. If you are an author/illustrator, you can use this time to sharpen your craft by attending workshops and networking with others in the field. Use this opportunity to meet new people and put yourself out there. You might even find yourself a new opportunity or mentor. If you are a regular old lit lover like me you can take this chance to meet some authors and talk to them about their work. You can chat “all things literature” and really immerse yourself in the world of books. Here’s the program http://mwf.com.au/program/ See if there is something you like! Smart Stories– A range of picture book readings at ACMI! http://mwf.com.au/session/smart-stories/ FREE!! Yay! 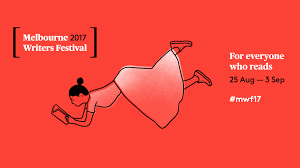 Illustrators in Residence- In these three-hour sessions, see leading illustrators work live from 12pm in the Fed Square Atrium. How cool! Jump online closer to the date to see the list of illustrators. The festival is held at various locations across Melbourne, most of which are in the CBD. Easy peasy! Readers, enjoy the amazingness that is August! There’s so much for us to celebrate, I cant wait!